So, my big sis is posting over at In the Mist of the Becoming about this band The Swirling Eddies right now. Each post is the lyrics from a song, some of her thoughts, then a YouTube video playing the song. Pretty cool. I thought I’d share with you this one, about the BVM. Go read, listen, and enjoy! Why should I listen to Vincent of Lerins? It’s all very well, I suppose, to say (as I do here) that St. Vincent recommends we turn to Scripture and tradition to learn what orthodoxy is, and all very well to figure out how to do this in today’s context. But why should we listen to him? 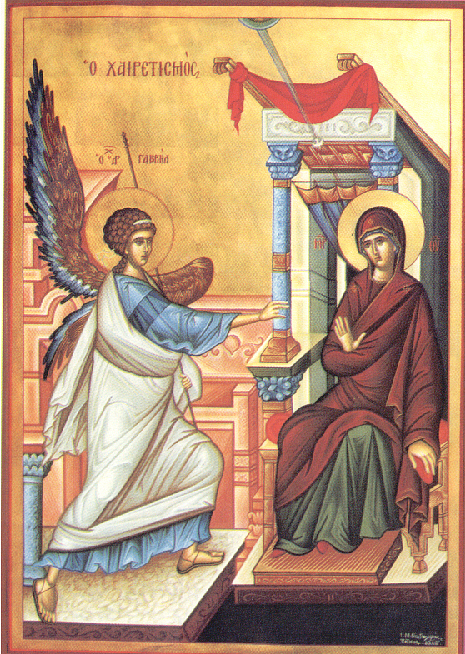 I had originally envisaged this post beginning with a brief reminder the fact that most, if not all, Christians call upon us to listen to the voice of Scripture, and then moving on to a brief summary and discussion of the venerable line of teachers who call upon us to heed tradition, a venerable line beginning with Paul and moving through such luminaries as St. Irenaeus and St. Leo the Great, within which St. Vincent of Lérins stands. But, really, tradition is a bit of a hairy beast. I mean, it’s true that tradition includes the prayerful application of human resources to the Scriptures out of which can come beautiful things like St. Thomas Aquinas’ Summa Theologiae or the Cappadocians’ Trinitarian thought or the Divine Liturgy of St. John Chrysostom or a Tridentine Mass or the Daily Office or stained glass in cruciform Gothic churches. But some of the things that come down the pipeline in tradition leave me scratching my head at times; they certainly help keep me on the Protestant side of things. Caves full of wax babies offered to an icon of the Theotokos by people suffering from infertility. Stories involving talking beasts who get baptised. Prayers and invocations of saints. The Perpetual Virginity of the BVM. Crowning the BVM Queen of Heaven (in the West). Also in the West: the Pope. These are just off the top of my head, mind you. Some are not necessarily deal breakers — I am willing to concede the possibility of the Mother of the Lord having been assumed into heaven or having been a perpetual virgin; I simply refuse them as being necessary beliefs. Just because something is traditional, why ought I to believe it? This, then, I guess, is where Augustine Casiday’s quotation about tradition being a creative fidelity to one’s origins is so compelling — it includes room for creativity. It leaves space for reason. It also means taking tradition as handed down (entrusted being our other definition) to us seriously. Thus, I am a traditionalist enough to enjoy Conciliar Triadology and Christology, but partly on the basis of prayerful reason and some knowledge of the Arian, Nestorian, Miaphysite positions, thus believing that it is orthodoxy because it is the most biblically faithful and philosophically coherent position. No doubt the Arians, Nestorians, and Miaphysites would hotly contest this position — it would take a book, not a blog, to expound why and how I feel and believe and think this way. 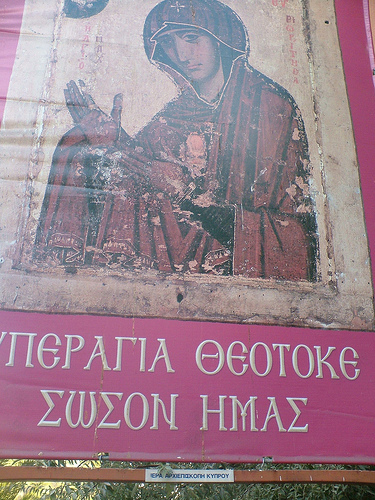 I am a cautious traditionalist, though; not all new liturgies or translations are necessarily bad (they often are, if only on aesthetic grounds). New hymns can go to the same depths and heights as old ones (not that they always do). New theologians can expound fantastic, glorious truths about God and the universe (contemporary theologians I like? NT Wright and Miroslav Volf if we aren’t bringing the Orthodox or the dead into this). New religious art can bring vibrancy and truth to darksome places, to places where the traditional is no longer comprehended (but I do love stained glass and icons!). For those interested in medieval drama, check out my thoughts on the Chester Cycle. My mother organises a youth musical and drama group associated with her church. One year, she decided to try and shake things up a little, to move away from Dennis and Nan Allan and songs by Steven Curtis Chapman and Michael W Smith, and to try out something medieval. So she thought they might enjoy “The Second Shepherds’ Pageant” of Wakefield as found in the Everyman edition Everyman and Medieval Miracle Plays. At the time, this group included a number of Baptists — a God-fearing people who are also suspicious of all scent of Popery. The Father of heaven, God omnipotent, / That set all on seven, his Son has he sent. / My name could he neven, and light ere he went. / I conceived him full even through might, as he meant; / And now is he born. / He keep you from woe! — / I shall pray him so. / Tell forth as ye go, / And min on this morn. There is nothing in this play that is not simply what the Bible teaches. 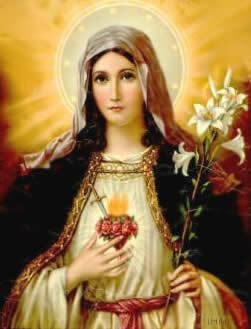 Jesus was born of a virgin, the power of God conceived Him in her. I suppose the Bible says nothing of whether she be fair or no, yet that is but a small matter. Protestants need to wake up and realise that the unconscious anti-Marian stance is unbiblical and unwarranted. The Mother of Our Lord belongs in any discussion of the Incarnation, and she ought to have a central role in any retelling — artistic, dramatic, narrative — of the Nativity. Furthermore, she belongs in a good number of the Gospel stories, from the Wedding at Cana to the Crucifixion, and probably the Empty Tomb as well. She is a figure in the life of Christ, and one upon whom the favour of the Lord rests. If we push St. Mary to the fringes of our understanding of the life of God while He was incarnate, then we fail at coming near a complete understanding of that Incarnate Life. Given that the Incarnation is God’s most powerful revelation of Himself unto us, to fail at understanding Jesus’ life in any way, we are failing to understand God, Who He Is, and What He Does.